He graduated from Wheaton College in 1949, with a degree in Greek. It was during this time that Jim felt his call to go overseas and reach the un-reached. This calling was confirmed when he arrived in Ecuador on February 21, 1952, with the purpose of evangelizing Ecuador's Quechua Indians. On October 8, 1953, he married fellow Wheaton alumnus and missionary Elisabeth Howard (his former roommate's sister!) in Quito, Ecuador. Their only child, Valerie, was born on February 27, 1955. Jim and Elisabeth began preparing to reach the famously violent Huaorani Indian tribe. He and four other missionaries, Ed McCully, Roger Youderian, Peter Fleming and their pilot Nate Saint, made contact from their airplane with the Huaorani Indians, using a loudspeaker and a basket to pass down gifts to small villages that they found. After several months of doing this, the men decided to build a base a short distance from one of the larger tribal villages, along the Curaray River. There they were approached several times by small groups of Huaorani Indians, and even gave an airplane ride to one curious Huaorani who they called "George" (his real name was Naenkiwi). Encouraged by these friendly encounters, they began plans to visit the Huaorani, but their plans were preempted by the arrival of a larger group of Huaorani, who killed Elliot and his four companions on January 8, 1956. Elliot's mutilated body was found downstream, along with those of the other men, except that of Ed McCully. That event shook the world fifty-nine years ago yesterday, as Jim and company landed their plane on a river bank when they were surprise attacked and were speared to death on the beach in the remote jungle of Ecuador. Their murderers were the Huaorani (sometimes called Auca) Indians, men from the very people group that Elliot and his friends had been preparing for months to evangelize. Why did these men feel so strongly that they had to do this? Why, even though they knew it was dangerous, did they plan this? Why did they throw their lives away? Why did the missionaries not defend themselves with guns against primitive spears? Why leave five young women widowed, nine children fatherless? What had caused the Huaorani to kill the very men who had called to them from the plane that they were friends, who had exchanged gifts with them on a line and basket dropped from the circling plane? Historically, every encounter with the Huaorani had ended in death, from the sixteenth-century conquistadors to seventeenth-century Jesuits to nineteenth-century gold and rubber hunters. Toward the end of 1955, the oil companies were closing in on Huaorani territory, an area of about 2,500 square miles. This tribe of unknown size and location was seen to be an irritant to development. Not only had they killed oil company employees who ventured into their territory, but they had even lain in ambush outside the big oil camps and killed unsuspecting employees right outside their own quarters. Little was said about the raids made by gun-wielding oil company men against the people, but every Huaorani killing was told and retold in the oil camps until "Auca" savagery and killing prowess gained almost mystical power to strike fear into the hearts of even seasoned jungle workers. Soldiers had been dispatched to protect oil camps, and there was talk of a military attempt at wiping out this "nuisance." Confrontation was inevitable, and the question was not would the Huaoranis be contacted, but who would contact them and with what intentions. Would the contact group take medicines and go in peace to live among the people, or would they go with poisoned meat and booby traps and guns to see the nuisance was eliminated or driven deep into the jungle where it would no longer impede the progress of civilization? 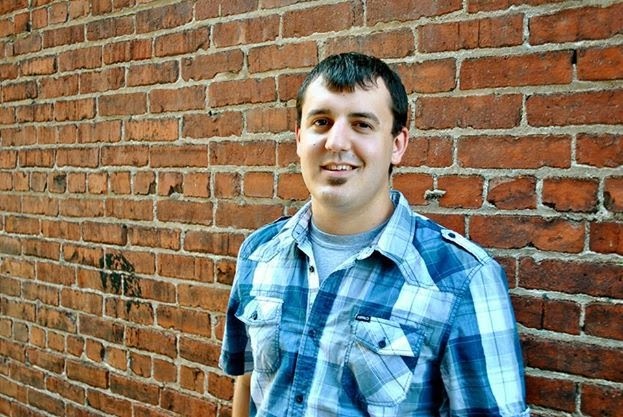 Jim and his friends had a burning desire to follow Jesus' command to take the gospel message into all the world. They had prayed for years for this primitive group that had never heard the redemption story of peace with God through the death of Christ. Now the men began to feel they should act soon or perhaps lose the opportunity for peaceful contact. Here were five common young men whose unifying distinction was less their inherited abilities or acquired skills than their commitment to seek God's will and to carry out his purposes for their lives. They were aware of the risk they were taking... but felt it was more than justified, though they could have had no idea of the impact their martyrdom would someday have. In the headline, I name only Jim Elliot, the most famous of the group. While the other four men on the team were all important to the work (especially that of Nate Saint whom I hope to write on in the future) and have all received commemoration and attention, Elliot has somehow stood out from the group. It may be that Elliot had that certain something as part of his personality, a charisma or magnetism or star power. But I think there’s another reason: Jim Elliot and his widow Elisabeth were unusually articulate. They had words on the tips of their tongues and were able to give a compelling account of why they were doing what they were doing. Much of the coverage focused on the tragic aspects of Elliot’s death. He was a young husband, a new father. But following his death, in a move that confounded many, Elliot’s wife, Elisabeth, returned to the Ecuadorian jungle, living among the Huarani people for two more years, sharing the gospel with them, and marking the first conversions in the history of that ethnic group. Elisabeth Elliot went on to publish two important books about her husband’s life and ministry — Through Gates of Splendor and Shadow of the Almighty — which continue to inspire and instruct missionaries in the 21st century, as well as college students wrestling with Christ’s call to go and make disciples of all nations. 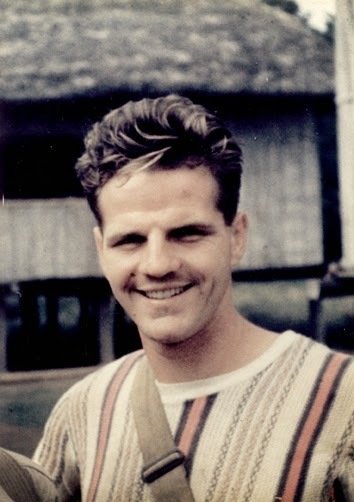 Less than three years after the massacre, Nate Saint's sister Rachel and Jim Elliot's widow, Elisabeth, had made peaceful contact and were living among the tribe.. the very same tribe that had slaughtered their loved ones. There they practiced basic medicine and began to notate an oral language in hopes of someday translating the Scriptures into Huao-tidido, the tribe's language. Today, that tribe is no longer "un-reached" but primarily Christian and key workers for the evangelization of other tribes in the South American region. He was a great man of God at a young age. I was privileged to have him as a friend and mentor.